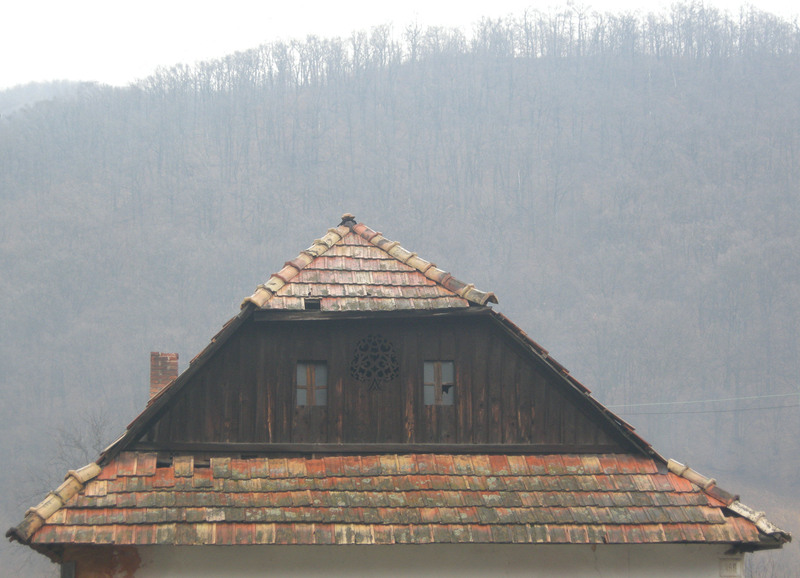 In Slovakia, a member state of the European Union which propagates the free movement of persons, goods and ideas, the government has submitted to the parliament and the parliament has accepted the law ordaining that in the official communication and in the public health and social institutions the staff can speak in Hungarian – the language of the ethnic minority which amounts to 20% of the country’s population – to the Hungarian clients only in those settlements where at least 20% of the population is Hungarian. 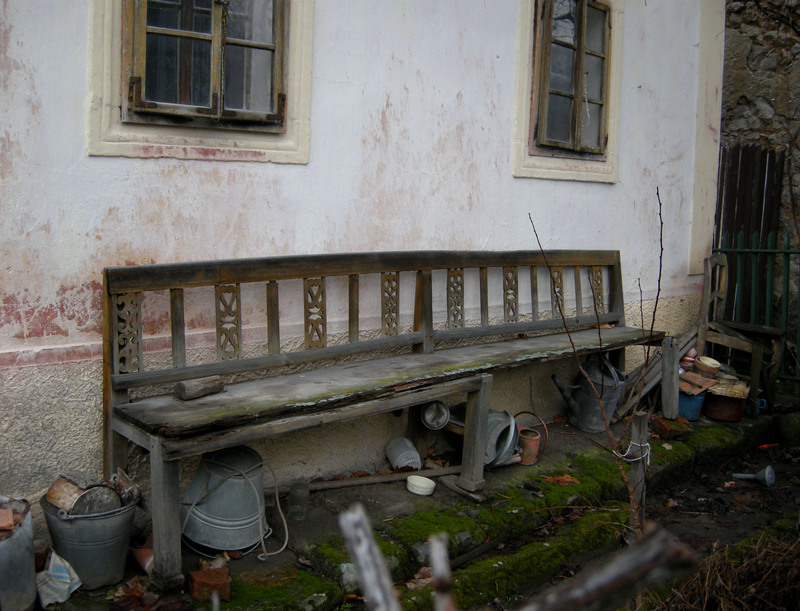 Thus for example in many towns a Hungarian doctor or nurse is obliged to speak in Slovak to an old Hungarian patient or inhabitant of a retirement home even if this latter does not really understand anything other than her or his own mother tongue – just because out in the town there live more Slovaks than a certain number, although they are absolutely not interested in the affair between the doctor and the patient. Furthermore, in public – that is, for example in the Hungarian newspapers – only the Slovak version of geographical names can be used, although all of them has their Hungarian name which has been in use for a thousand years among Hungarians. (For English speakers: imagine that from tomorrow you can only say and write “Moskva” instead of “Moscow”, or “Österreich” instead of “Austria”.) 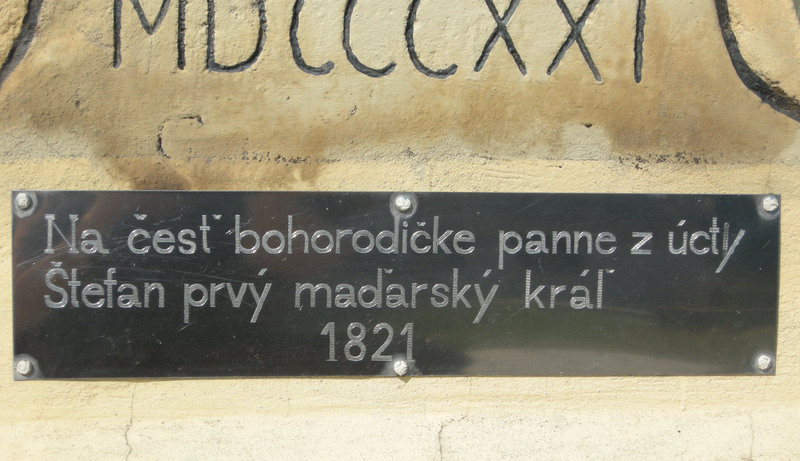 The inscriptions of all monuments have to be translated into Slovak. 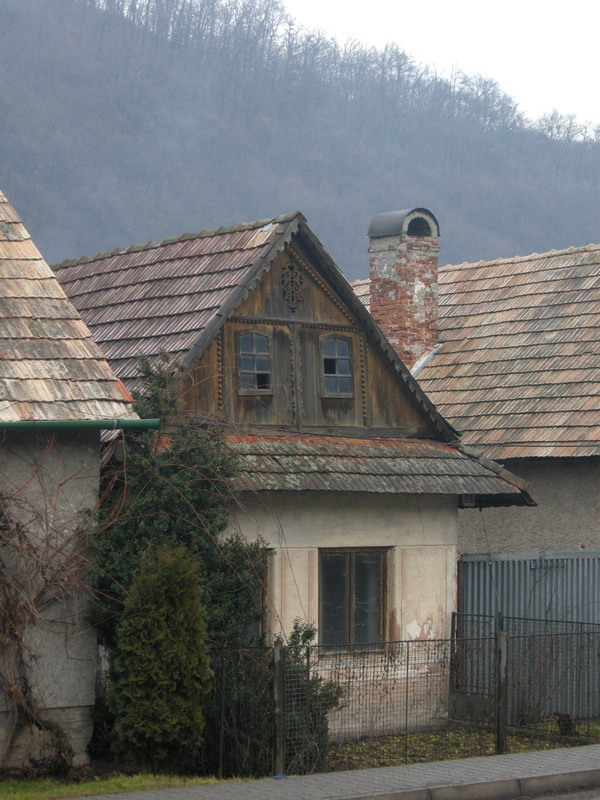 Those disobeying the law or incorrectly using the Slovak language are penalized 5000 – five thousand – euros. I could not pick out from the law whether it only limits the use of Hungarian language. If yes, then this is a linguistic discrimination that is unparalleled in the EU (as if for example in Madrid clerk and client were allowed to use any language in which they understand each other, except for Catalan). If no, then the case is that in Slovakia a post-office employee or a ticket agent can be legally fined five thousand euros for having given information in English to a Western European tourist. Some apparent protestation can be perceived on the Hungarian side, but this is all the same. Either the law will remain, or it will be revised by the European Union – for example on the basis of the European Charter for Regional and Minority Languages, also accepted in 2001 by the Slovakian parlament –, the present nationalistic Slovakian government has attained its object anyway: they have confirmed the sympathy of their nationalist voters for the approaching elections. If you cross the Slovakian border at Ipolyság and go ahead on the Korpona-Zólyom-Besztercebánya main road, after thirty kilometers, at Hontnémeti you have to turn to the left in the direction of Selmecbánya. The road meanders in the romantic valley of the Selmec stream, passing through Berencsfalu and Szentantal in whose Baroque Koháry Castle the Bulgarian tsar (grandson of the King of Portugal and great-great-grandchild of the last Koháry) lived till 1918, until it finally arrives to the captivating medieval town of Selmecbánya, built in a deep valley basin, above – and from the opulence of – the richest gold and silver mines of medieval Europe. The beautiful road passes among high mountains, closely following the stream, flanked here and there by a cross or a stone. I remember when, passing here for the first time by bicycle as a teenager, night fell on us after Berencsfalu, and in the dark we looked for a place to stay on the other side of the stream. We set up the tent among large stones. Only in the morning we discovered that we had slept among Jewish tombstones. Since then I wish to find that place again. 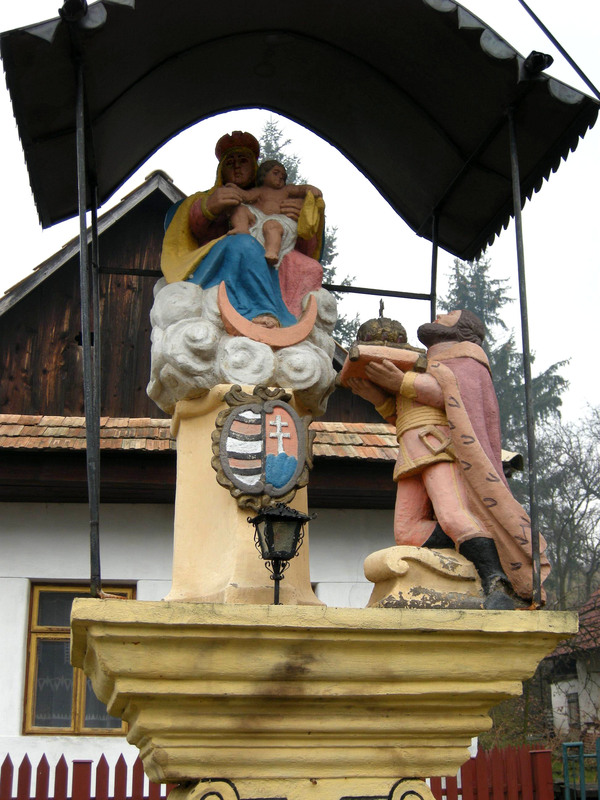 In Berencsfalu and Szentantal the roadside monuments multiply: John of Nepomuk, Florian, Mary, Rochus, Trinity, most of them due to the piety of the Koháry family. 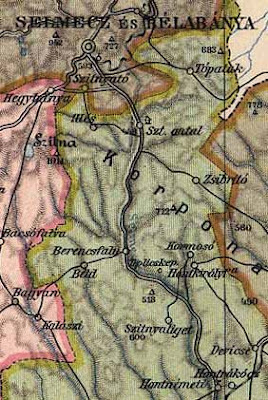 From 1629 the Kohárys were the landlords of this region and its protectors against the Turks. The most illustrious member of the family, István Koháry (1649-1731) even suffered prison as he refused to render the castle of Fülek to the Turk. In the solitude of his three years of imprisonment he became a poet, and a good one at that. The first statue we encounter as we arrive to Berencsfalu represents the well known scene of the official legend of Saint Stephen, first King of Hungary and founder of the Hungarian state, when the old King after the death of his only son offered his crown and country to the Holy Virgin, who is sitting here enthroned above the Hungarian coat of arms and trampling the Turkish half moon under her feet. This scene that had been represented since the 12th century gained great popularity from the 17th century onwards and was the theme of several altarpieces and literary works. As a free-standing sculpture, however, it is absolutely unique. According to Ernő P. Szabó, the Berencsfalu statue was also the copy of an altarpiece, that of the Koháry chapel in the neighboring Szentantal. The inscription of the monument is: “In honor of the God-bearing Virgin and of Saint Stephen, first king of Hungary, 1821”. The Deipara, that might sound unusual to the readers accustomed to Classical Latin, is a loan translation of Greek Θεοτόκος, “God-bearing”, which is not only an epitheton ornans, but the Virgin’s “official title” since the Council of Ephesus in 431 in opposition to the Nestorian standpoint, according to which Mary was only the mother of Christ’s human nature. And the attribute Divus, “divine” of Stephen was a favorite synonyme for Sanctus in the humanist Latin of the Renaissance and Baroque period. On the pedestal of the statue, like a preparation for the new law on language use, they have also fixed a Slovak translation of the inscription. This, however markedly differs from its original not only in the quality of its material and making, but also in its text. In fact, the Slovak text sounds like this: “In glory of the God-bearing Virgin, out of honor. Stephen, the first Hungarian king, 1821.” However short this text may be, the translator succeeded in committing four errors in it, an achievement that already deserves credit. The first error is that he rendered the word “honor” (honos) with two synonyms (česť, úcta), although this was syntactically absolutely not necessary: it is obvious that this “out of honor” is a mere complement added to end of the phrase. The probable reason is that while in Latin the construction “in honor of” is always in plural by convention (honoribus), the translator, ignorant of the reason, tried to render the plural with a duplication of the Slovak equivalent. The second error is that while the two Latin genitives make it unambiguous that the statue was set up in honor of the Virgin and Saint Stephen, according to the Slovak text it was erected only to the Virgin, and namely by none else than King Stephen (997-1038) himself – in 1821! The third error is that the adjective “Saint” falls off before the name of Stephen. Either because the translator did not understand the humanist divus, or because he did not consider Stephen, King of Hungary worthy of this qualification. The fourth error is that in the Latin Stephen is “King of Hungary”, while in the Slovak “Hungarian king”. This difference is much greater in Slovak than in English. 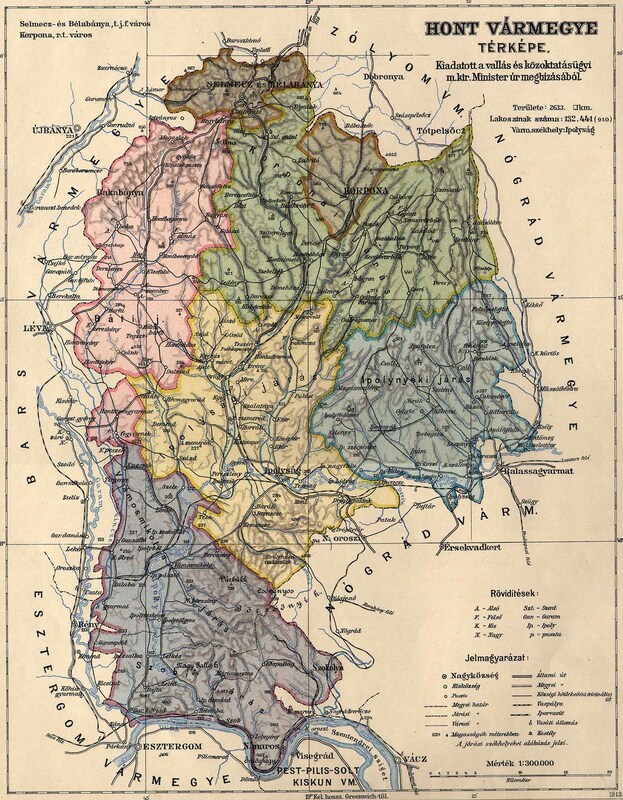 Pre-1918 Hungaria was a multinational state, whose various ethnic groups before the rise of 19th-century nationalisms declared themselves, for example in the registers of foreign universities, for hungarus, at best adding their mother tongue: sclavus. The Czech and Slovak languages use a special term for this historical country and identity: Uhorsko and uhorský, and they call only post-1918 Hungary and people of Hungarian mother tongue Maďarsko and maďarský. 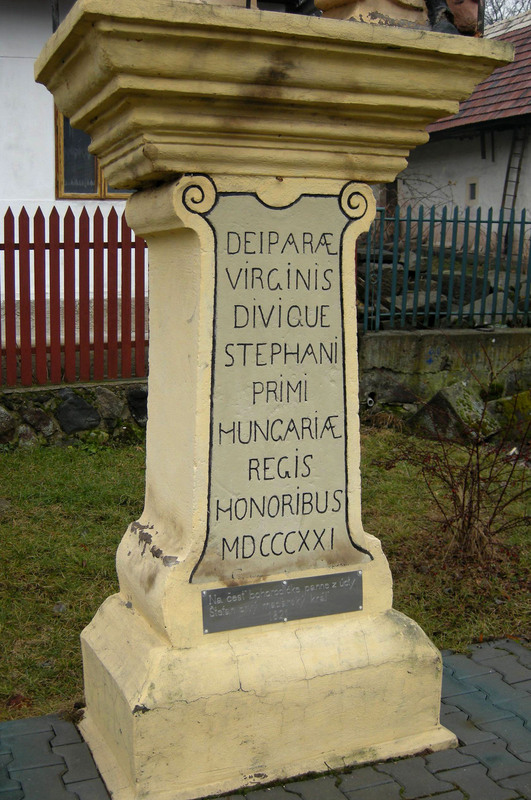 Calling Saint Stephen a maďarský kráľ instead of the correct uhorský kráľ (as it is used in every Slovak historical texts, for example here) is just as much an anachronism as the statement that the statue was erected by him – in 1821. The trend of the translation errors is clear. 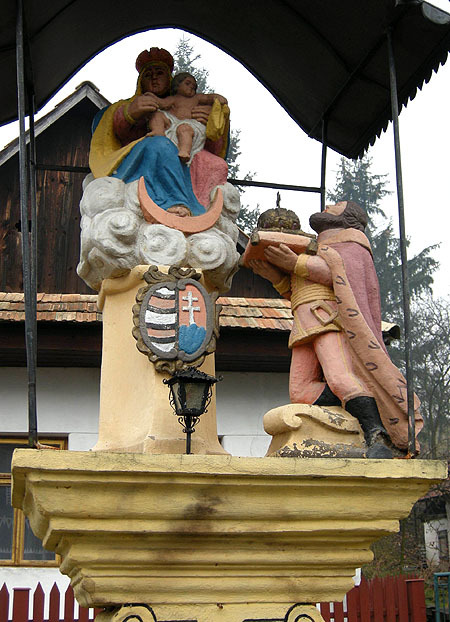 As the leader of the Slovak nationalist party Ján Slota styled a “clown on horseback” Saint Stephen, who is also revered by the Slovaks as their first saintly king as it is attested by hundreds of Slovakian altarpieces and prayer books, so the translator would like to kick him out of the nine hundred years old common Slovak-Hungarian history. Let him not be uhorský, only maďarský, let him not be holy, and chiefly let there be no statue erected in his honor in Slovakian land. There is only one question left. Given that Latin was the official language of both the Roman empire and the Hungarian kingdom (Uhorsko), should the commissioner of the Slovak inscription pay the fine of 5000 for the incorrect use of language in sestertii or in florins of gold? I am totally opposed to linguistic discrimination in any form. Especially at the behest of both English and Mandarin Chinese, which both are attempting to dominate the world linguistically! I think it's time to move forward and adopt a non-national language like Esperanto. If your readers have a moment they might like to see at http://uk.youtube.com/watch?v=_YHALnLV9XU Professor Piron was a translator with the United Nations in Geneva. Thank you, Brian! I have listened to Professor Piron’s highly interesting ideas, and I must completely agree with him. I myself also learned Esperanto when I was 16 (it was a great fashion in the late Communist world), and at that time I could fluently use it. Although I have not practised it since then, nevertheless whenever I encounter texts in Esperanto I still understand them perfectly, and whenever the star of Esperanto as a world language will rise, it will find me ready. Nevertheless, I also know from experience that if you want to approach a culture, you have to learn its language at least to a certain extent, independently of what the „world language” is. This fact will remain unchanged even if Esperanto will became the language of international communication. So I would also encourage everyone to learn „minor” languages as well – you will be rewarded by much appreciation in that country or culture, and by a completely unknown world opening to you. Dankon, mi taksis tre bona la tekston pri la Hungara en Slovakio. Certe, nia Euxropa Unio estas pli kaj pli statara unio anstataux popolara unio! Esperanto utilas kadre de internacia komunikado, sed ne povas -kaj ne volas!- anstatauxi naciajn lingvojn. Se estas lingva limproblemo, oni devas defendi rajton uzi lokajn lingvojn, precipe se estas malplimultaj lingvoj. "La kataluna, nacia lingvo; Esperanto, internacia lingvo". (Bonvolu meti iun ajn lingvo anstataux "la kataluna"). Thank you for the post. I find it really sound. European Unio is not a union of peoples but a union of states. Cases like this one are usual around Europe. Esperanto can be useful for international communication, but it shouldn't take the place of national (local) languages. Should there be a problem in a language border, the local language should be preserved, especially the language of (political) minorities. "Catalan, national language; Esperanto, international language" (please insert any language instead "Catalan" if you wish to do so). Esperanto is a nice idea, but if it were to become a true living language---like English---it will necessarily become more complicated. I also think that if by some miracle it were to become a lingua franca, the same people who resent English, French, or Chinese will also resent Esperanto for the same reasons. But I may be wrong, and at the very least learning Esperanto may help people as a bridge to other western languages. Give people who WANT to learn foreign languages like English or Esperanto the means to do so, but don't force it down their throats. Give people who speak minority languages the same respect you would espect to receive in other countries. This should not be a hard thing to do. I dislike Esperanto because of the sophisms that Esperanto teachers use in their propaganda. Even the inventor of that language believed and preached that if we all spoke the same language, we would "understand" each other better, a forked tongue promise based on the second meaning of "understand" = get along. English helps people survive and get a good job or an excellent job. Esperanto is in fact little more than a hobby nomenclature for native English speakers.